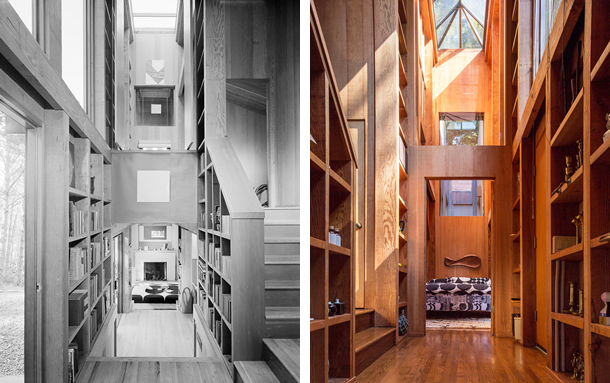 Hallway with vaulted ceiling: yesterday (left) and today (right). Hines House living room today. 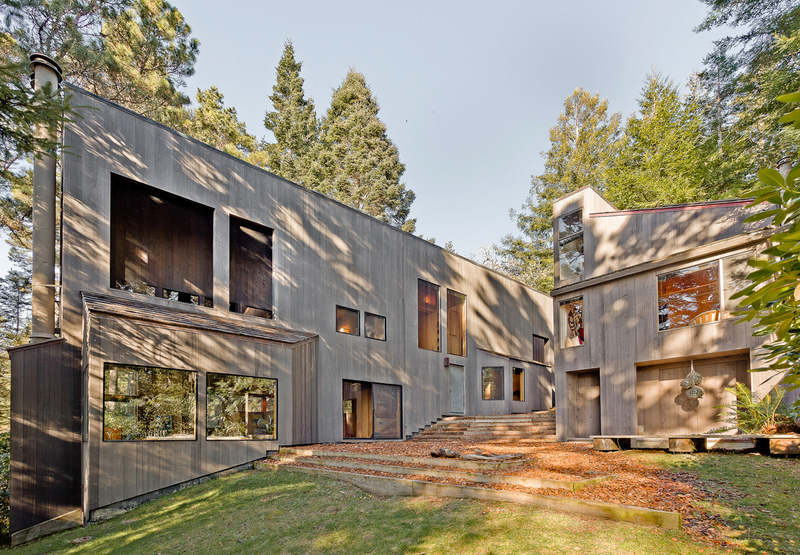 MLTW—the alphabet broth of Moore, Lyndon, Turnbull and Whitaker— four distinguished architects who, in the 1960s, opened up the delicious residential banquet that is Sea Ranch. But these days, are buyers in this scenic Sonoma County coastal community finding the fare a bit stale? 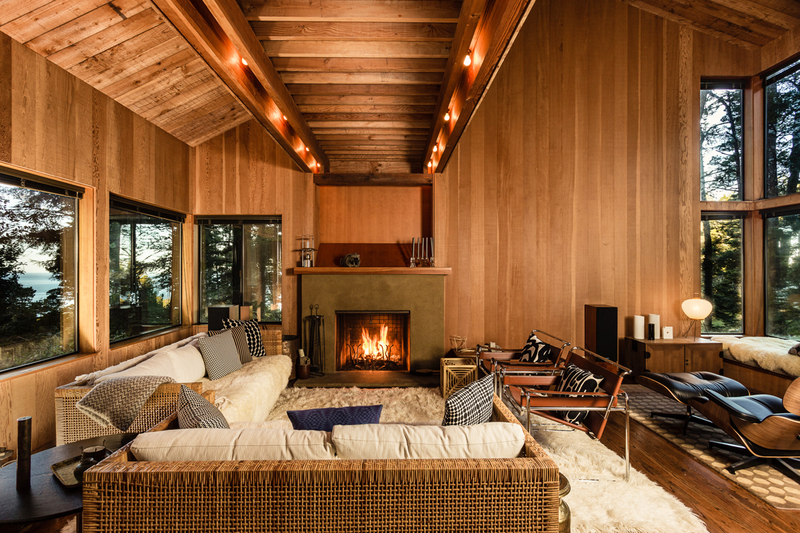 That possibility has risen as one of the iconic mid-century homes in Sea Ranch languishes on the market despite a price cut of $175,000. "It's an incredible property," though it's been hard to sell, said Ilana Gafni, co-listing agent of the Hines House for Beverly Hills-based Crosby Doe Associates. 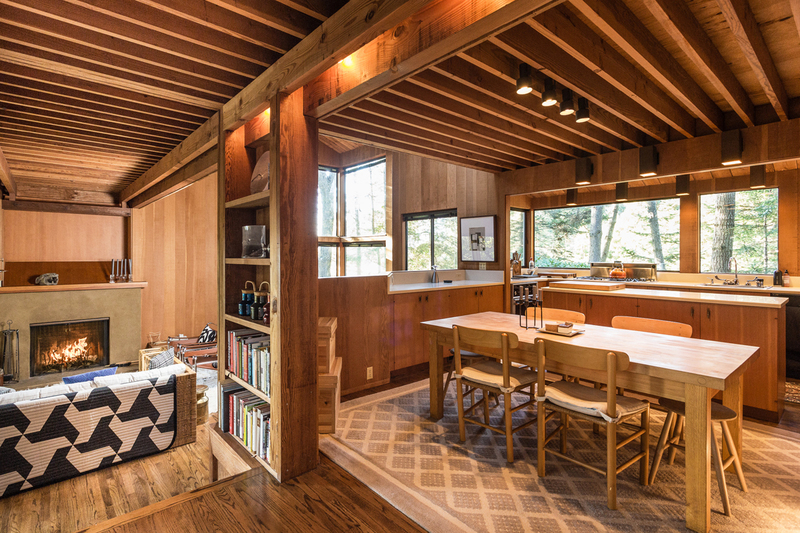 The 1968 home by one of the community's original designers, William Turnbull, was listed in February, for the first time since 1972, at $2,450,000 and reduced in late August to $2,275,000. The 3-bed, 2.5-bath house was designed for Ann and Don Carlos Hines by Turnbull, the 'T' in MLTW, the Berkeley firm that master-planned a seaside utopia on the former Del Mar Ranch in 1963. The 2,382 interior square feet includes an additional 'bunk house' and a few additions Turnbull designed in subsequent years. It is the glorious exterior, however, that many would treasure most about this property, with ocean views from several rooms and wildlife abounding on every side. "The landscape here is so epic, it gives you perspective that you might not have otherwise," owner Shev Rush told the website architectureforsale.com. "You're in nature—on any given day, we may have a flock of turkeys come through, a fox, a bobcat, deer everywhere." "You get glimpses of it from different parts of the house," said Gafni, co-listing the house with Sea Ranch realtor Hanne Liisberg of Coastal Real Estate Group. The outdoors also pours into the house through half a dozen skylights, including one in the master bedroom, of which Gafni marveled, "It's incredible. I've never seen anything like it."